Today’s post about Lumene is sponsored by Collective Bias® for Duane Reade. Lumene is a brand I’m semi-familiar with. Before writing today’s post, and trying these new products, I’ve tried their Pure Radiance Beauty Drops, which I think is a fun yet potent addition to any skincare regiment. I’m always out to discover new beauty products to try and integrate into my own regime. 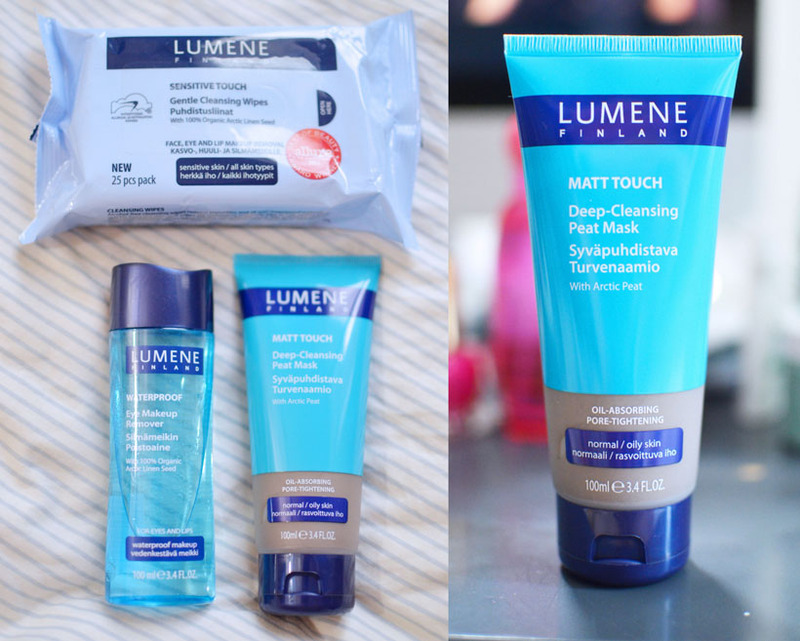 So, when presented with the opportunity to explore Lumene’s products at Duane Reade, I was ecstatic. Overall, they are a great bang for your buck. As a drugstore line, these are premium-quality products that work great. I also really enjoyed the fact that most contain arctic ingredients like cloudberry and Vitamin C. The Vitamin C is what attracted me to try the beauty drops in the first place! So, when I went out shopping for products to try, I focused on summer care items. VITAMIN C+ DRY SKIN COMFORT RADIANCE COCKTAIL This is the first item I picked up, initially for its cocktail mixture. I have combination skin, so in the summer, the T-zone gets oily and the rest of the face stays super dry. My skin just drinks this up, by the way. This is a great alternative to the heavier moisturizers out there. Although, it is a serum, designed to be applied before day or night cream, it is just enough to really keep the dry areas moisturized and the oily areas calm. Did I mention is smells wonderful? Most of the products have a nice light citrus-fruity scent to it. ILLUMINATING ANTI-AGING BB CREAM SPF 20 (in Light) I combined this with the serum cocktail because for everyday outings. I think it’s enough to use a serum in conjunction with a bb cream, which has moisturizing properties as well, and skip the day cream. My face would be too greased up otherwise. Most drugstore bb creams I’ve tried have disappointed me. 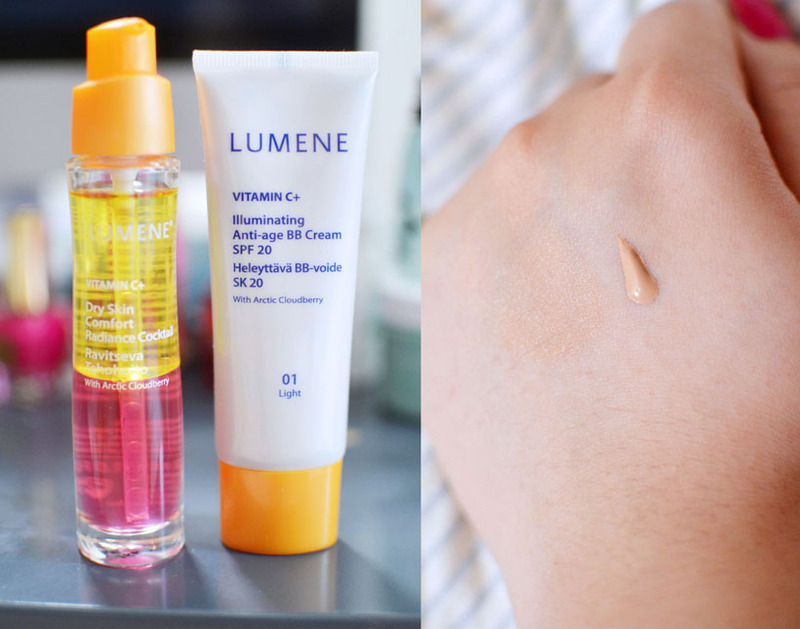 They usually finish like a tinted moisturizer with really low coverage, but Lumene provided a strong creamy coverage that can be built up. I would say it’s a medium coverage bb cream that covers up minor imperfections quite brilliantly. My favorite part about this bb cream is the dewy glow it leaves behind. Add a little bronzer, and you’ll just look sunkissed! Color matching, wise it initially looked too pink-toned but it gradually adjusted like mainly of the asian bb creams I’ve tried. Comes in shade Light or Medium. Contains SPF 20, enough for everyday. I’d recommend sunscreen if you plan on hitting the beach or pool. WATERPROOF EYE MAKEUP REMOVER This is the most popular item from the line, and rightly so. 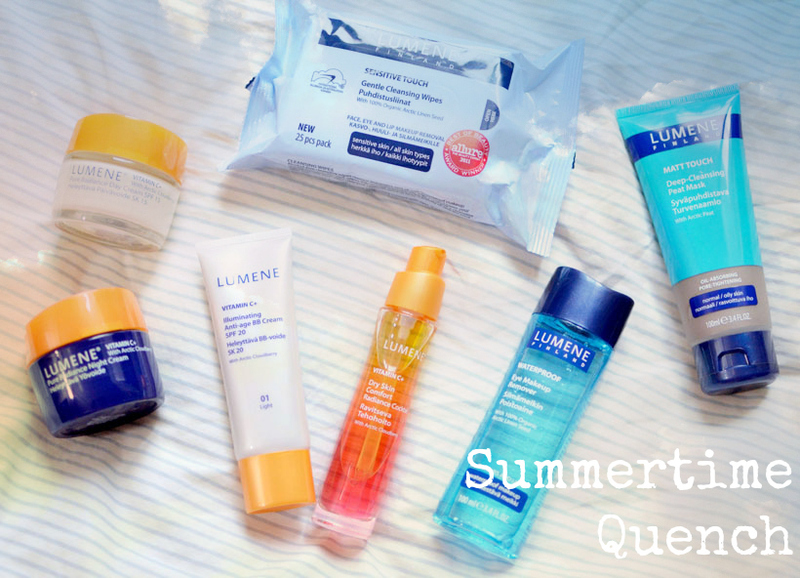 I can’t stress how much more important it is to remove and clean your face during the summertime. You know I love wearing my waterproof eyeliner and mascara, and this does such a good job taking allll that off. Amazing buy for the price (under $6). SENSITIVE SKIN GENTLE CLEANSING WIPES You always need makeup wipes. These took off the bb cream quite quickly. I also used this to get the remaining color stains off from The Color Run over the weekend. In the summer, the first thing I want to do is get off all the stuff on my face. It gets pretty hot and humid here, so you can imagine the need to grab wipes. MATT TOUCH DEEP CLEANSING PEAT MASK Face masks are my most purchased and favorite beauty item to try. I’ve never tried a mask that using peat, so I was curious. When applying it on, the first thing I noticed was the smell — it was a little bit medicinal. The overall texture was grainy and spreads thinly. But, after washing it off, my skin felt very clean. It does do a nice job absorbing the oil off. PURE RADIANCE DAY & NIGHT CREAM Not quite a summer thing for me, but great for those with really dry skin or when I have really stressed out skin. I like to use the day cream when I’m staying in like a pseudo-mask that I don’t wash off, to replenish nutrients. The nighttime cream, I use in the same principle. After cleansing and toning, I like to apply liberally for some radiant skin overnight and prevent signs of aging. Ahhhh! I generally really like these products. A lot of them are housed in glass bottles, which makes it feel a lot more luxurious for a drugstore buy. Honestly, if I didn’t purchase these at Duane Reade and had gotten them as a gift, I would have thought this a was really effective premium line from a department store. Impressed!